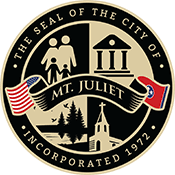 Mt Juliet was formed in 1835 and incorporated as a city in 1972. According to the Mt. Juliet Chamber of Commerce, the name of the town has two possible explanations. One theory is that the town was named for Julia Gleaves, a person who was renowned for taking care of those in need within the community. The most widely accepted story is that Mt. Juliet is named for the Mount Juliet Estate, a manor house in County Kilkenny, Ireland. It is the only U.S. city with this name. Mt Juliet has claimed to be the “fastest-growing city in Tennessee,” and it does qualify for this distinction if one considers growth from 2000–2015 for Tennessee cities with a population over 10,000. In recent years, Thompsons Station in Williamson County and Spring Hill in Williamson County have grown by a larger percentage basis. Mt. Juliet remains one of the fastest growing places in Tennessee. Mt. Juliet currently serves as the anchor city for Tennessee House of Representatives District 57 and Tennessee Senate District 17. In 2012, after many years in Tennessee’s 5th congressional district, Mt. Juliet was redistricted into Tennessee’s 6th congressional district. Franklin Environmental Services in proud to offer mold removal, radon testing & radon mitigation services in Mt Juliet TN. We perform mold remediation services, radon testing and radon mitigation, crawlspace moisture barriers and crawlspace encapsulation. We work with homeowners in Mt Juliet TN to ensure their homes are safe and secure from the dangers of mold and radon, and protected against intrusive moisture. Homeowners living in Mt Juliet face unique challenges when it comes to preventing mold from getting in their home. In Tennessee, there are over 100 types of mold that can attack your home both inside and out. It’s important keep an eye out for damp spots around your house, both inside and out. The best thing to do at the first sign of moisture is to take steps to dry out that area, and then call an expert. Franklin Environmental Services is certified by the Professional Mold Inspection Institute to handle all mold related issues you may face. Franklin Environmental Services offers professional radon mitigation services to the Mt Juliet area. Since Radon is impossible to detect, your best bet is to call a professional to ensure that you and your family are safe from this deadly gas. Franklin Environmental Services is certified by the National Radon Proficiency Program to perform radon testing and radon mitigation. Franklin Environmental Services is a trusted resource to Realtors looking for a partner. We help get homes mold and radon free and ready to show! We are fast, reliable and discrete. If you are a realtor in Mt Juliet TN, we would love to be a part of your winning team!